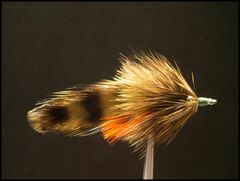 Over time, I have acquired a number of fly tying techniques that have improved my ability to craft well made flies. The pages that follow contain many of those techniques. 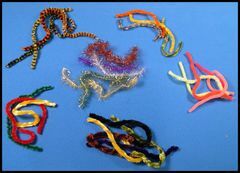 Hopefully, you will find them useful in your fly tying efforts. Glues and cements are as important as any other tool on the warmwater fly tier's bench. Check out which adhesives work best for me. Find out the sticky details. This Dubbing Brush (teaser) is one of the most useful tools on my bench And, it's easy to make. 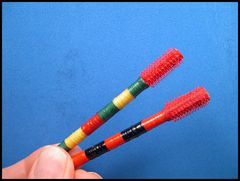 I believe that this brush works much better than any dubbing tool on the market today. 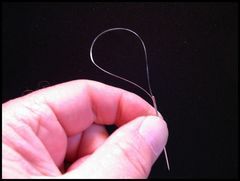 Putting legs on hair bugs is easy if you use a Whitlock Leg Sewing Tool. With this unique tool, you can place rubber legs exactly where you want them. Installing legs or eyes on deer hair bugs is easy if you use The Whitlock Leg Sewing Tool to install the legs and a Burning Point to make sockets for the eyes. 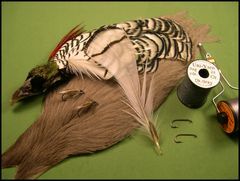 The versitile fly tier should have a variety of chenilles available at the tying bench. The warmwater tier probably uses chenille more than any other tier. 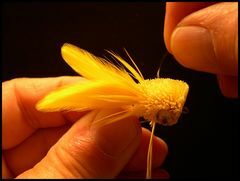 Here are some chenille tying tips that will make your finished flies look much better. It's frustrating to read a recipe for a fly that you want to tie only to find that the specified hook is not a brand that you have in your hook box. 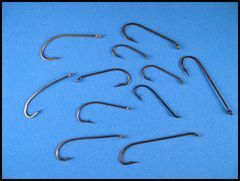 A hook comparison chart is what is needed to relieve your frustration. Most of the time I use Mustad hooks. In the chart that follows, you will find other brands of hooks that are comparable to my favorite Mustad hooks. 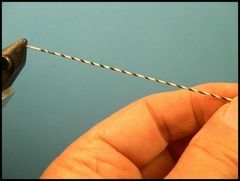 There are a number of ways to attach a weedguard to a bass bug hook. The single-loop mono guard is probably the most popular. 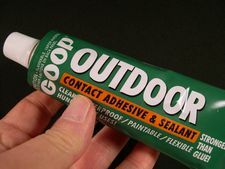 With few exceptions I use it on all of my deer hair bugs, divers, and sliders. 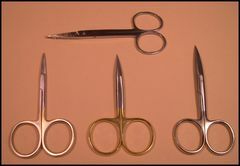 I frequently recive requests for information about which fly tying tools I use in creating the flies found on the "Fly Patterns" pages. 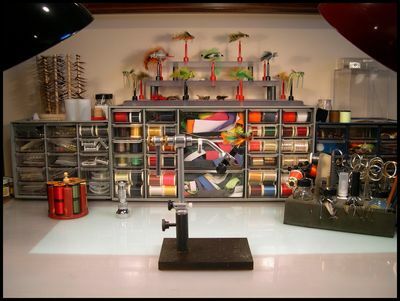 Often times the requests are from those who are new to the fly tying game and they want advice on kinds of tools they should purchase and where they can purchase them. The tools that I describe here are those that suit me. There are a variety of different brands of the same tool on the market. Some are good and some don't deserve a place on your tying bench. Spinning and trimming deer hair is my favorite warmwater fly tying technique. There are basically three ways to make a deer hair head or body on a hair bug. You can spin the hair, stack the hair, or you can blend it. The following pages describe how to blend deer hair. 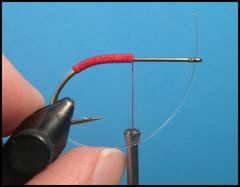 There is a right way to lay down a neat thread base on the hook's shank before you begin to add materials to create a fly fishing lure. 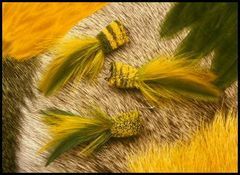 If you are new to the fly tying game or you are an old hand there are a number of ways to learn the basic skills as well as advanced fly tying techniques. A neat way to use round or flat rubber legs and waterproof markers to make stripped or barred legs in any color you choose. It's not difficult to take professionally looking "close-up" photos of your favorite flies. Click on the link below to find out how I do it without expensive equipment or an elaborate set-up.